Environmental damages such as free radical, the sun’s aging rays, and pollution are everywhere and causing the skin to show the signs of aging and dullness. 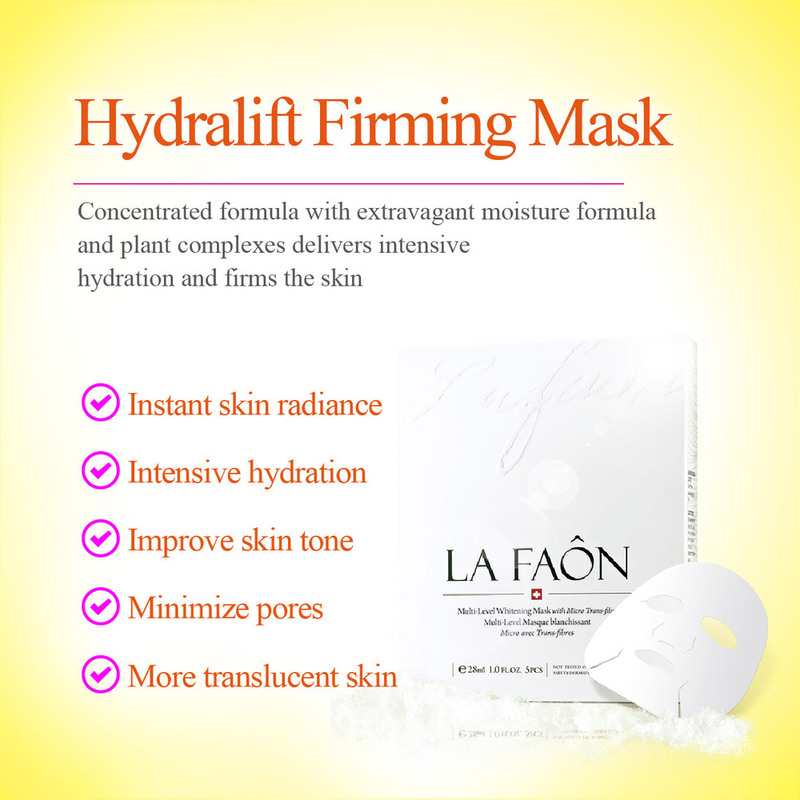 This mask offers 10 times more powerful ingredients to penetrate deep into your skin for intense whitening effect. It helps to bring back skin’s natural glow and light up from inside out. This three-layer mask offers you the newest facial treatment experience than ever. With the super lightweight and thin cloth, it fits perfectly on your face without any discomfort or airtight feeling. This almost transparent cloth contains rich serum that can bring back the skin’s natural glow in just 15 minutes.